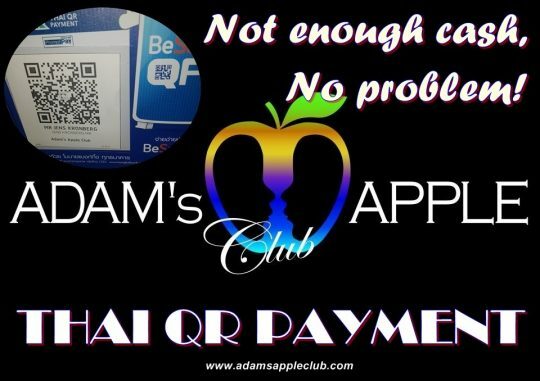 Not enough cash, no problem – at Adam’s Apple Club in Chiang Mai, you can now also make cashless payments. 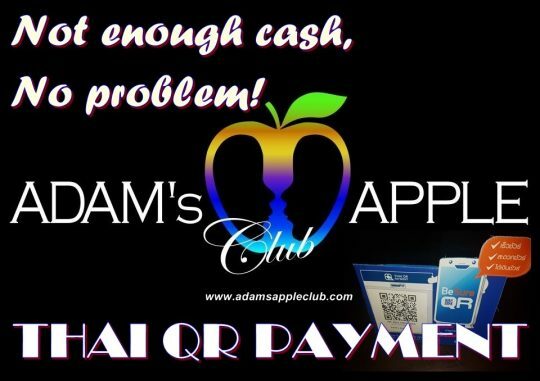 In our Host Bar, we also offer the possibility of cashless payment with THAI QR PAYMENT. It’s simple and there are no extra charges, all you need is a Thai Bank account and a phone. 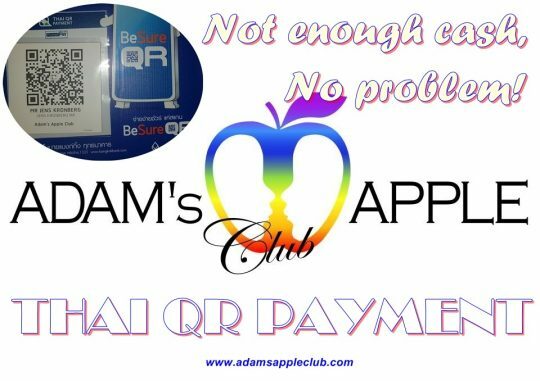 From today it is no problem to pay cashless in Adam’s Apple Club Chiang Mai, if you accidentally do not have enough cash with you. We are looking forward to your visit and love to entertain you. With the best Shows in Chiang Mai, the hottest Asian boys and the incredible cabaret, we will surprise you every night. We are open every night from 9 pm, Free Entry. The Shows start every night at 22:30 pm.